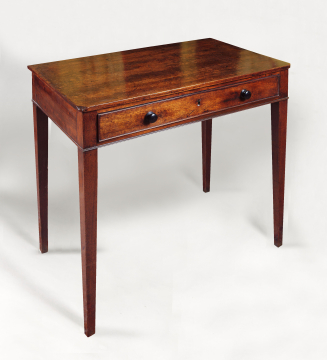 This table must be that in the back Attic described in the Furniture and fittings inventory as ‘1 mahogany table with a drawer in front’. The deal back indicates that it was intended to stand against a wall. 1 The desk was restored by John Graves in 2004.